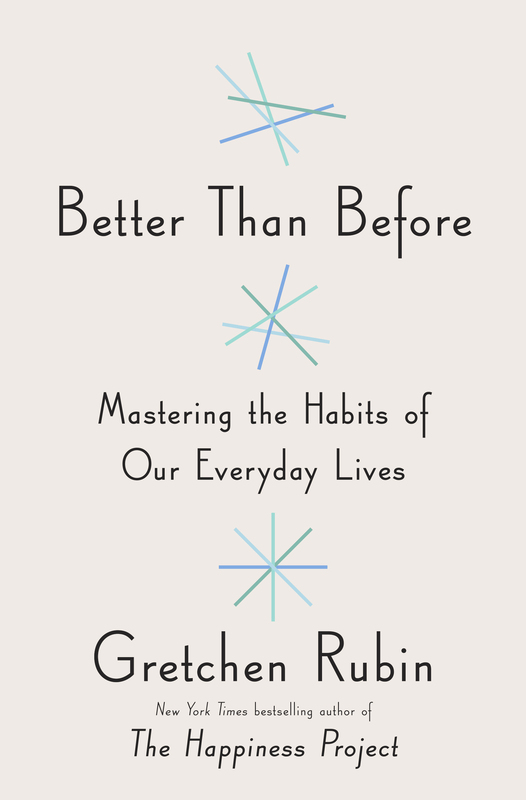 Last weekend, I finished reading an e-galley of Gretchen Rubin’s latest Type A masterpiece, Better Than Before: Mastering the Habits of Our Everyday Life. If you liked Rubin’s previous books about achieving happiness through acts of everyday practicality then you will likely enjoy this third installment. Look out for it in March of 2015. But this isn’t a book review. This is a warning: I’m thinking a lot about habits, so you’re probably going to hear all about it. But this isn’t really news. This blog is mostly about reading and writing and the various ways those two activities intertwine in my life. Developing and maintaining my reading and writing habits is what makes all of that happen. I have the life I have because of these habits. I am the person I am because of these habits. I’ve been thinking about this balance for the past few months, and I wrote about it briefly in May. The broad strokes of that post are still true – I’m consciously pulling back from other writing endeavors (aka blogging) to spend more time writing for myself. But I still want to blog. I also don’t want to feel stressed out about frequency of posts, I don’t want to post writing here that I’m not proud of, and I don’t want to give it up. The practical compromise I’ve worked out for myself since September is, of course, a habit. It’s a habit I feel quite good about, am happy to stick to, and I think helps me strike that balance between post quality, post frequency, and overall workload. Let’s just pause for a moment while everyone who just read the phrase “overall workload” clicks rapidly away from this overwhelmingly exciting blog post. It’s okay, guys. I understand. See you later, once the mayhem dies down over here. I write blog posts five days a week, in the mornings. I start writing after I’m 100% dressed and 100% packed and ready to walk out the door. I stop when my little bus tracker app tells me it’s time to get up and go. I also write a little if I get to work early. Depending on the whims of public transportation, I can squeeze in 30-45 minutes of blogging every day without sacrificing anything I should be doing or want to be doing. If anything, I’m trading a bit of blogging for a bit of random-Internet-trawling-before-work time, or painting my nails time. Both of those activities make me miss my bus, by the way. Blogging doesn’t seem to have that effect. That’s it. I write in the morning. According to Ms. Rubin’s new book, my habit relies on the Strategy of Scheduling – deciding ahead of time when/where/how to blog – and the Strategy of Pairing – choosing to blog during a specific window of time that is directly abutting my already established habit of Going to Work. Once I built this foundational morning habit, I’ve found that blog writing becomes a more desirable activity during other times of the day as well. If I’m having a lazy evening and find myself in front of a few episodes of Chopped I might do a little blogging at that point. Sometimes if I’m really close to finishing a post, I’ll mysteriously find other time during the day to get it done and up. Ideally I’d like to spend a couple hours on a Saturday or Sunday doing some blog writing as well, but this month my weekends have been jam-packed. And there’s the big caveat of my plan – my life still moves in on my blogging time. If I’m out late being social and want to sleep in, or I’m trying to prep a dinner in the slow cooker, or if I’m on a book review deadline or if I need to stop at CVS on my way to work… well… there goes my 15-20 minutes. I can still go days or a week without a post, but that’s okay with me. I think that writing X posts per week isn’t as important to me as writing regularly. Because I’ve built a habit, I know where blogging will go once I’m back on the wagon. I’m here this morning, picking up where I left off sometime last week. It’s okay. I’ve been at this blogging game for so long that I always *want* to write here, it will always nag at me if I’m not doing it. I’d rather write for a short amount of time regularly than pretend like I have enough spare time to write 5 or 6 posts a week. If I do have spare time, I’d rather use it to further other projects than towards impossible blogging goals that lead to crappy posts and general anxiety. So that’s where I’m at. I write a little most days, the posts come when they come, and I think I’m pretty okay with that.